Try these fixes if you're fed up in frustration over the noise that your radiator makes. There’s a simple reason why builders relied on steam radiators for decades and decades—they work! But every technology has drawbacks, and with steam radiators, homeowner complaints often center around noise. At times, with all that clanking and banging, you might wonder why the radiators didn’t come with earplugs. What causes that cacophony, and how can you usher in quiet? 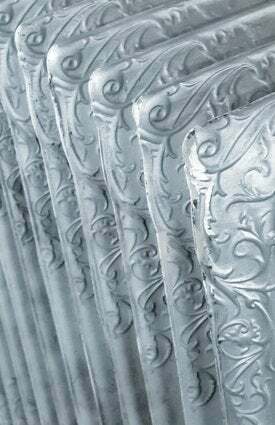 If you want to repair a noisy radiator in your home, here are a few things to know. In a typical steam heat system, a single pipe extends from the boiler to the radiators. At the point where the pipe connects to a radiator, you’ll find an intake valve. This component performs two functions. First, it feeds steam into the radiator. Second, once the steam cools and condenses into water, the intake valve allows the liquid to drain out of the radiator and return to the boiler. At least, that’s how things are supposed to work. But water often gets trapped in the radiator, and when that happens, steam is blocked from entering. As the trapper water and blocked steam play a game of tug-of-war, they produce the delightful symphony that keeps you up at night. So aside from being an awful racket, a noisy radiator means that your system isn’t operating as well as it should. 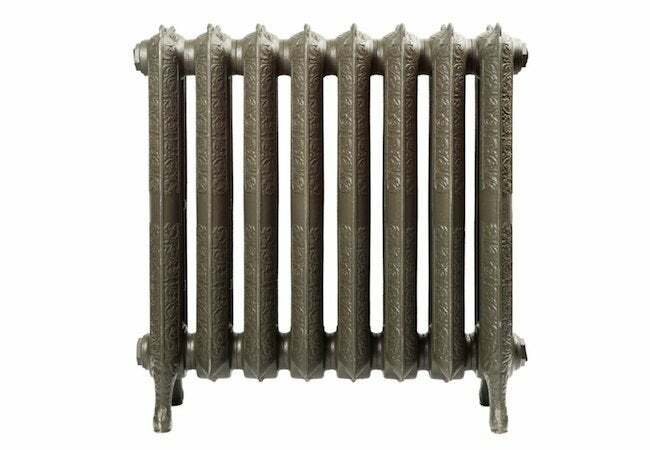 A properly functioning steam radiator does not sit perfectly level on the floor. Rather, it tilts slightly toward the intake valve. That positioning allows condensed water to flow out of the radiator, not by means of a pump, but through the force of gravity. Therefore, if your radiator starts getting noisy, the first thing to check is check whether the radiator remains tilted toward the valve. Use a level, and if you see that the radiator sits level or is tilting away from the valve, intervene. Try slipping a wooden shim or paint stirrer under the legs on the end opposite to the valve. A tilt of only five degrees or so should do the trick. If you’ve checked the radiator and found that it’s tilting correctly, a different common problem may be at play. Often, steam condenses in the pipe before it even reaches your radiator. If that’s the case, the fix is to insulate the pipe, wherever possible, along its run up from the boiler. Pipe insulation couldn’t be much easier to work with, but the portions of the pipe most in need of insulation may be hidden behind a wall. Another possible cause of radiator noise: the steam vent. Try this: Close the intake valve so that no steam can enter the radiator. Next, remove the steam vent from the radiator, placing it in a bowl of vinegar. Let it sit overnight. Doing so may help dissolve any calcium deposits that have gradually accumulated over time. If that doesn’t work, purchase a new steam vent to see whether the replacement fares any better. Readily available at most home centers, a new vent only costs about ten bucks, so it’s worth a shot if all else fails. Finally, a friendly reminder regarding the use of steam radiators, in general. The intake valve should be either fully open or fully closed. Leaving the valve partially open can result in leaks and damage to floors.